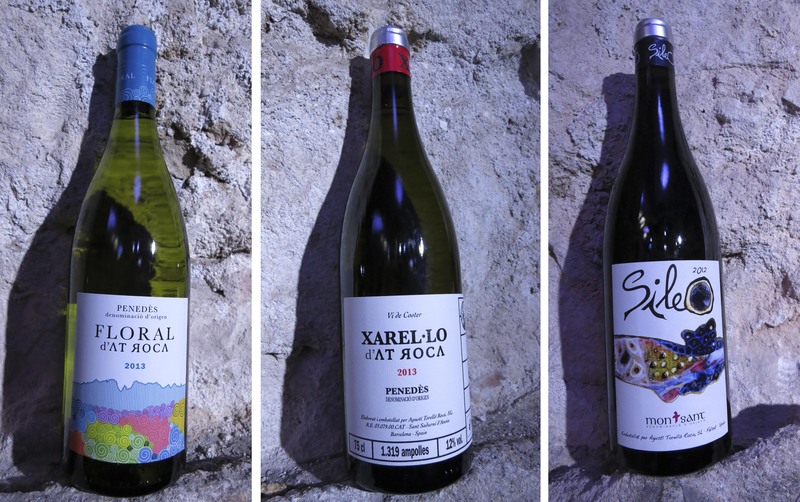 A few days ago I tasted the AT Roca’s wines at the Fábrica Moritz, in Barcelona. Agustí Torelló Sibill and his son, the oenologist Agustí Torelló Roca introduced their products (two sparkling wines, two white wines and a red one). This could be just a descriptive post about the virtues or defects of their wines, but goes far beyond. Let’s talk about sparkling wine. As you may know, Spain has a system to categorize wines in accordance with their supposed quality. The Designation of Origin is practically on the top of this pyramid. And the DO Cava is among them. But what makes this DO different of the rest of Spanish Denominación de Origen (DO) is a peculiarity regarding the territory. The story dates back from the time in which the Spanish sparkling wine made with the méthode champanoise was called champán. France was claiming that the term champán should be referred only to the sparkling wines produced in the geographical area of Champange, France. This brought as a result that these Spanish sparkling wines had to change the name for Cava. The Regulatory Council for the sparkling wines was created in 1972 and settled the basis to use the name and the production of Cava. Some problems arose because several wineries, in different geographical areas, wanted to qualify their product as Cava. This ended up in the Spanish Court. The judge sentenced that those municipalities that were producing sparkling wines following the méthode champanoise had the right to use the term Cava, and as a result of that 159 municipalities were allowed to use the new term. In short, that meant that Cava was produced in 10 different provinces scattered through the whole country. Here it is the conflict, as every Designation of Origin, that is DO Denominación de Origen in Spanish (AOC Appellation d’0rigene contrôlée in French…) refers to the territory, the area where the product is produced. But it is not the case for Cava. A winery can be settled in one municipality and buy grapes from another one settled in the opposite side of the country -if it is in Cava area. This brings some conflicts, as some winemakers, and Agustí Torelló Sibill is among them, consider that the character of a wine is intrinsically linked with the terroir. This point of view obliges to use some specific viticultural practices and it doesn’t permit to buy grapes from far away. The conflict is served on the table as the Regulatory Council allows to deal with grapes among the different municipalities, which is against those defending the idea of terroir. As a result of that some wineries producing sparkling wine have abandoned the DO Cava and have started labelling their products as VECPRD (vino espumoso de calidad producido en una región determinada), a legal European designation that takes into account the terroir premises. Phew! And this is not the end of the story. 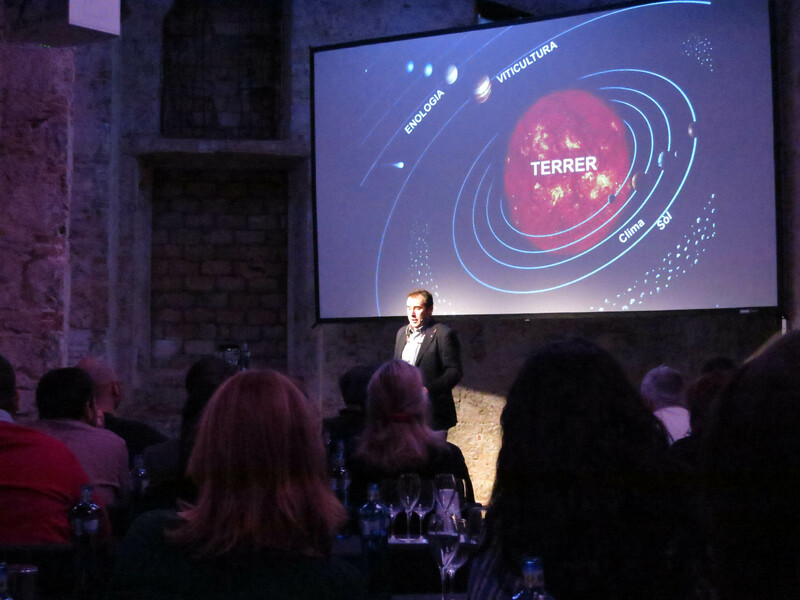 Agustí Torelló Sibill defends the idea for the creation of another DO, that could be called DO Cava Penedès (it does not exist at the moment) that would represent more the 95% of the Spanish sparkling wine produced by the méthode champanoise. Of course, the Regulatory Council for Cava is not very happy with these ideas; some areas do not agree with this point of view -as they want to continue using the term cava; and, on the other hand, it seems difficult the DO Penedès will allow to use its name to designate a sparkling wine. Let’s see what will happen in the coming future, as Spain has been culturally, politically and socially reactive since centuries, so everything is possible! 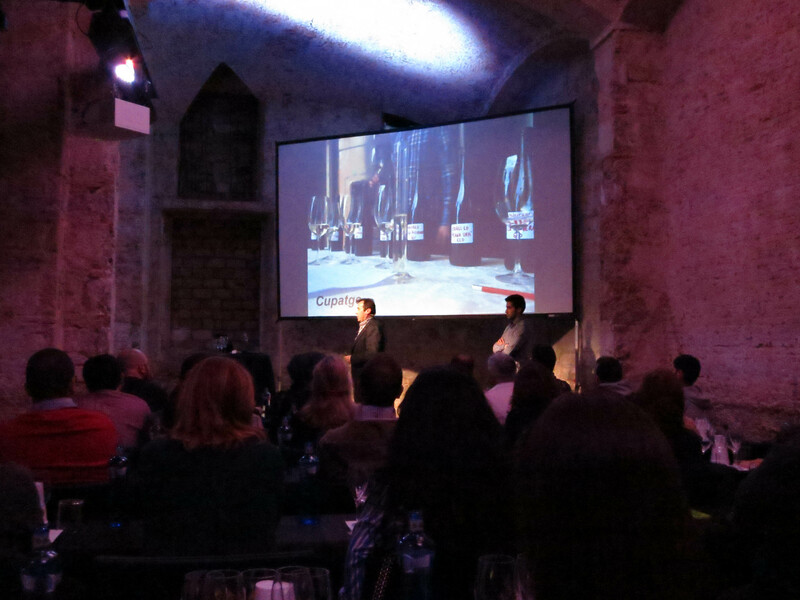 Let’s come back to the present and talk a little bit about the AT Roca wines. 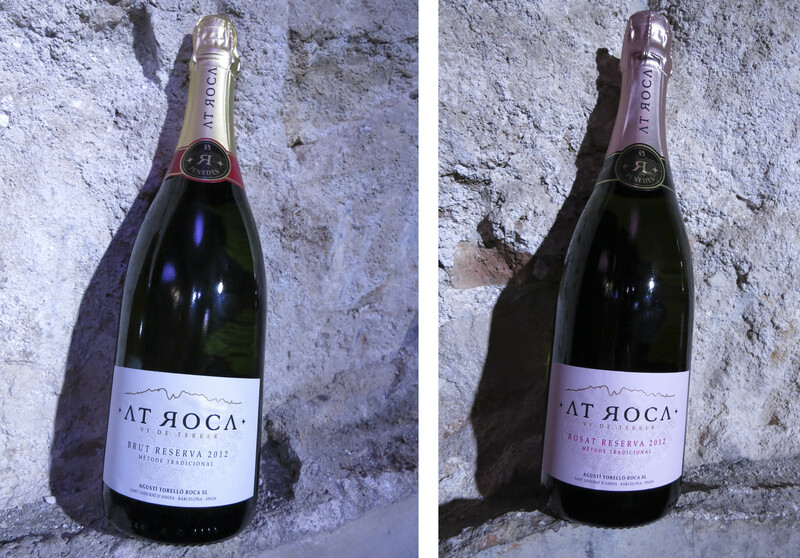 We started tasting a sparkling wine: AT Roca brut reserva 2012, (Macabeu, Xarel.lo, Parellada) which I enjoid quite a lot (fresh, crispy and a very smooth CO2), followed by the AT Roca rosé reserva 2012 (Macabeu, Monastrell; a “pale onion” colour with very tiny bubbles, with a smooth palate). The third of the list was Floral 2013 (Malvasia de Sitges, Macabeu, Moscatel d’Alexandria; a half bodied white wine with a mineral aftertaste very interesting for food pairing). The fourth, AT Roca Xarel.lo 2013 (a white wine half bodied and smooth on palate with a mineral finish). And the fifth, Sileo 2013, a red wine made of Garnacha and Samsó -local name for Cariñena- (nose with hints of coffee and candy; on palate has good texture and mouthfeel with notes of red fruit, and the aftertaste is a little bit bitter). By the way, Sileo means “to start again” in Latin. Good wines made for a new winery under the direct supervision of an experienced winemaker and his son. I am quite sure that they will continue to bet for quality and their wines will get recognition in the coming years.